Erect annual associated with corn fields. Bright scarlet red flowers June - August. 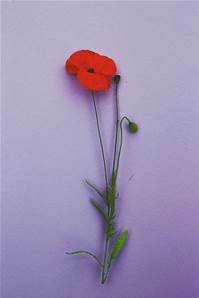 The red poppy of remembrance.